STORE HOURS: Mon - Fri: 8:00 a.m. - 5:30 p.m. | Sat: 8:00 a.m. - 1:00 p.m.
Equipment theft is one of the biggest issues faced by a number of tool rental companies. A study by the National Insurance Crime Bureau (NICB) revealed that, on average, equipment theft costs rental tool companies around $400 million every year. In fact, 8,000 to 12,000 equipment theft cases are reported to the authorities every month! The statistics are truly alarming for tool rental companies. The worst part about equipment theft is the fact the company not only incurs financial loss but its reputation is also damaged. Due to the unavailability of the tools, their projects often backlog. Furthermore, funding agencies avoid engaging these companies. This makes it important for every tool rental company to do all they can to prevent equipment theft. Scroll down to read what you can do to reduce the chances of equipment theft at your tool rental company. Keeping a record of all equipment owned by your company is the first step of making them theft-proof. Generally, serial numbers and identification PINs are nonexistent for most equipment. This makes it easier for the thieves to pass the stolen machinery and goods in the market. Furthermore, poor record keeping poses a big hurdle when it comes to recovering stolen equipment. This makes it important to familiarize yourself with the serial number, PIN number, model and make of all the equipment and to keep a proper record of them. Generally, construction worksites are not only remote but they are also desolate, especially at night. This gives thieves the perfect opportunity to steal your equipment. Furthermore, lack of security at these sites makes things worse. However, you can minimize the chances of equipment theft by securing the construction perimeter. 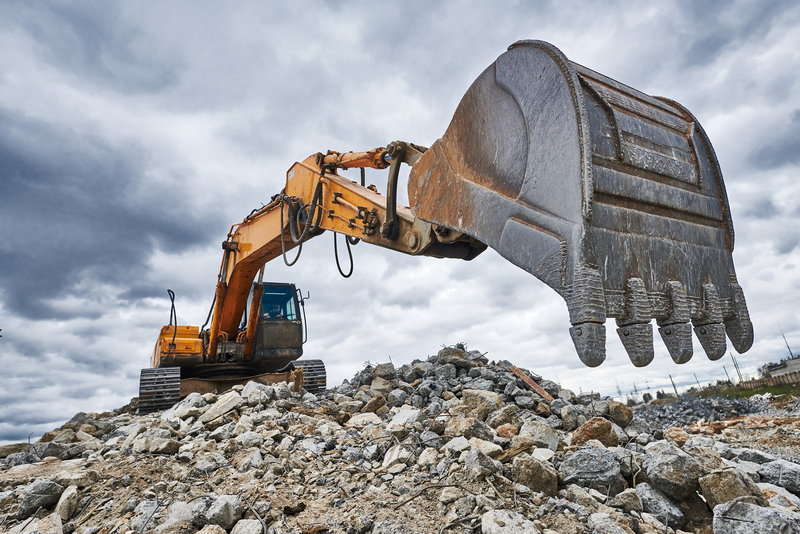 The good news is, it is neither difficult nor costly to secure your fleet overnight at a construction site. A good, old locked fence or motion detectors ought to the trick! Another option is to park all your vehicles in a tight circle before the construction site shuts down. Then place all the smaller equipment at the center of the circle. To further enhance security, you can ask the local authorities to increase the frequency of patrolling in the area. Remember, equipment thieves often skip sites seeming to be even slightly more secure than average. Today, technology plays a vital role in preventing equipment theft. You can install a wireless video system on the construction site, use motion sensors or even install a light tower to ensure maximum security. On the other hand, hiring a night guard for your premises is also a surefire way to minimize the chances of equipment theft. Follow these 3 simple steps to ensure maximum security. Remember, in case of an emergency, it is important to report the authorities immediately. Try to provide as many details as possible and don’t forget to notify the insurance companies. If you have any further questions, feel free to contact us, or check out what we have to offer for tool rentals here.